I’m still very disturbed by this show and wondering why it needs to feature such dark, depressing ideas of the depths of humanity, but there’s no denying that this was a totally captivating hour of television. Somehow, Negan shaving his beard made him seem more threatening. I suspected that there was no way he would appreciate the boldness that Spencer employed by showing up to Rick’s door to suggest that he should be in charge instead, and asking him if he had guts so that he could slice him open for a very brutal visual display of power was pretty horrific. 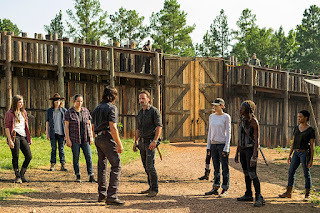 Seeing everyone gathered around with mouths agape and tears falling from their eyes was harrowing, and I was shocked that Rosita pulled out her gun and fired one of Eugene’s homemade bullets at Negan. That would have been far too easy a way for him to die, and instead Negan just threatened her and then had a random person, who turned out to be Olivia, killed. After Rick refused to say thank you, Negan just left, leaving things off on a much calmer note than expected, with a sentimental hugging and smiling party, including escapee Darryl, to close out the hour with hope and optimism. 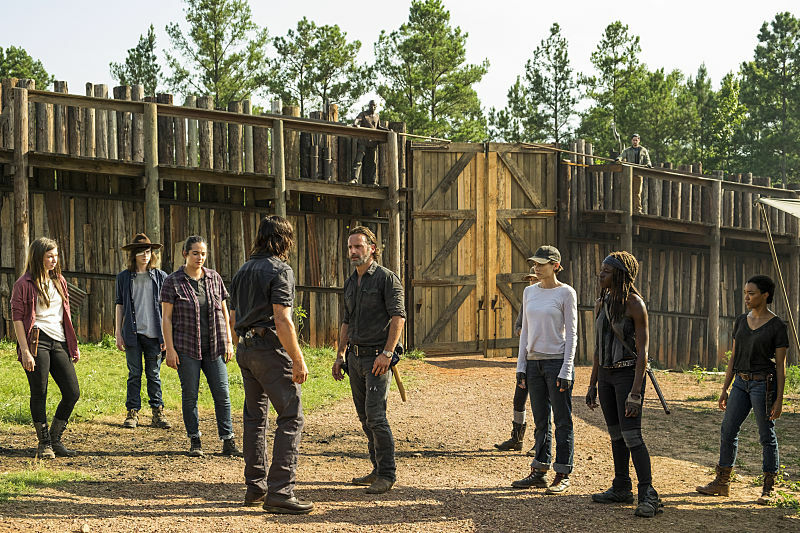 With Eugene taken in to make bullets for Negan and nothing actually having changed regarding their situation, I don’t see what cause there is for celebration, and I predict that things will be just as grim when the show returns in February. Maybe I’ll be wrong and they can actually be happy for a little bit.